Content WritingEach website requires a different level of content based on the market it wishes to target. Content refers to the information present on a website that is of great use for internet users. Content includes certain specific keywords that concentrate solely on the information that the website owner wishes to convey. The language should be communicative and understandable and lay down a transparent view of the topic which appears latent. Websites are not only concerned with the selling of a product or a service, however, but there are also certain knowledge-based portals and content incorporated in such websites should be educative and easy to retain. 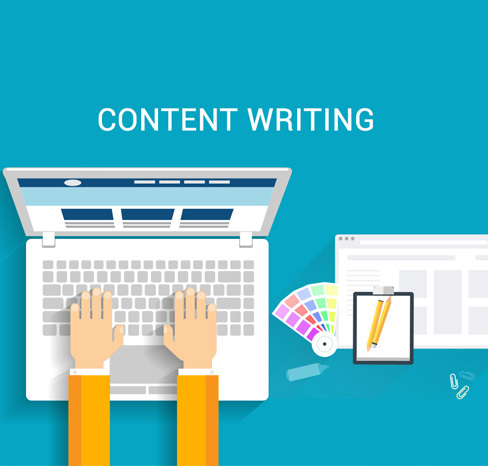 Content writing service agencies have highly qualified content writers who are experts in framing words and phrases in a manner that is appealing and useful at the same time. A combination of relevant keywords and user-friendly information is all that is needed for flawless and superlative website content. The use of keywords is all the more important as it determines the ranking of a website. Gcreationz is one such name that can be trusted blindly when it comes to a competent content writing service provider. We have a pool of intelligent and knowledgeable writers who can aptly describe your business and can also provide informative articles for knowledge-based websites and portals. Our team works for two main characteristics that are relevance and search ability. Content writing by professionally trained writers. SEO specialists at work to ensure a good website ranking. Meticulous analysis of the business type to produce equally applicable content. Complete attention to minute details while framing the layout, punch lines, bullet points etc. Use of informative and understandable words and phrases.